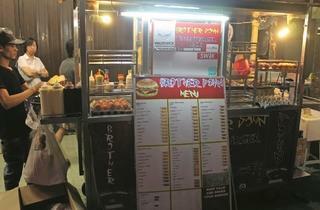 Home of the famous Master Burger (two Ramly beef/chicken patties with egg and cheese), the stall has been manned by Abang John (whose real name is Kahar) for more than a decade. It's parked near Texas Chicken. 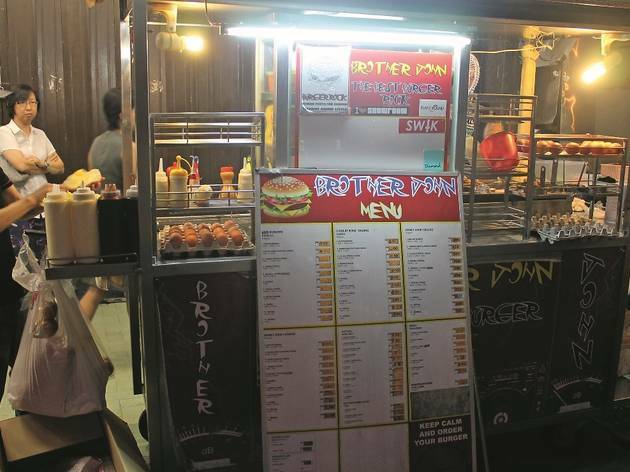 Ramly burgers are known for customisations; if you can’t decide, ask for the ‘kahwin’ version, where Abang John puts together one chicken patty and a beef patty in one burger – it’s genius.